Researchers are examining the sediment from lakes such as Cascade Lake in southwestern Alaska to determine changes in climate through the amount of glacier melting as reflected in the amount of sediment accumulated in the lake each year. Students interested in pursuing an environmental career at Northern Arizona University will find an integrated and streamlined approach in the university’s new School of Earth Sciences and Environmental Sustainability. The new school brings together the Department of Geology with the Center for Sustainable Environments to combine educational programs and outreach in environmental sciences, environmental studies and geology, and graduate programs in environmental sciences and policy and geology. It could pay to live in the sunniest state in the nation. 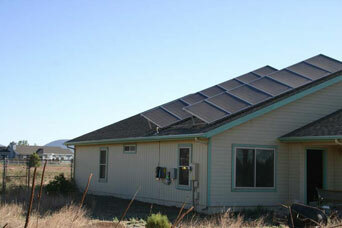 If you have considered installing solar panels on your home, a case study by a team of NAU researchers suggests you won’t get burned by your investment. 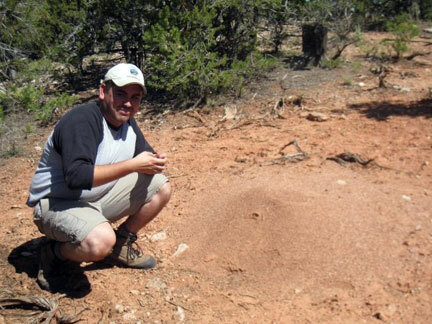 Ants get a bad rap, but an NAU student researcher is getting them respect for providing clues about environmental change. Ernesto Rodriguez, a senior in environmental sciences and biology, said the tiny creatures are big indicators of an altered ecology. Con Slobodchikoff is giving a voice to prairie dogs. 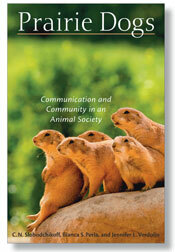 The NAU biology professor states the case for protecting the species in Prairie Dogs: Communication and Community in an Animal Society, recently published by Harvard University Press.